Indian students from countries like Russia, Nigeria, Iran, Nepal, Doha, Kuwait, Saudi Arabia, and Singapore will also be taking part in the interaction. 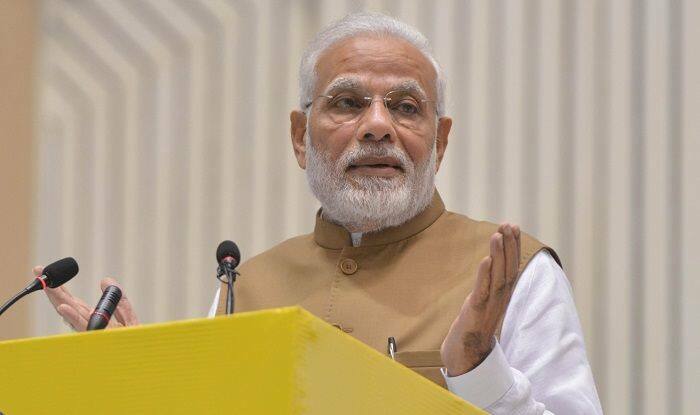 New Delhi: Prime Minister Narendra Modi will on Tuesday hold the second session of his “Pariksha pe Charcha” in which he will interact with students, teachers and parents about examinations and related stress. “Dear students, parents and teachers, Tomorrow at 11 AM, we will be discussing stress-free examinations during the Pariksha Pe Charcha 2.0 Townhall Programme. Looking forward to your presence!” tweeted PM Modi on Monday. Earlier, the government invited students to register on MyGov.in and participate in the “Pariksha Pe Charcha” contest and get an opportunity to interact with the prime minister at Delhi’s Talkatora stadium. “The competition is only for students studying from classes 9 to 12, graduate and undergraduate college students, their parents and teachers. Selected participants will have an opportunity to attend an interaction with Prime Minister Narendra Modi,” a senior Human Resource Development Ministry official said. “The best responses will be featured in prime minister’s interactive session with students scheduled to be held on January 29 at Talkatora stadium,” the official said. During the first edition of “Pariksha Pe Charcha” last year, the prime minister interacted with several students from across the country. Participants will also be able to join the interactive session from across the country and even abroad through video-conference. During the first edition of "Pariksha Pe Charcha" last year, the prime minister interacted with several students from across the country.